"Here at Appletell, we are big fans of both music and skin. One rattles our bones, the other holds said bones inside our body. What's not to love about both those things? The folks at MusicSkins agree, as they've combined the two into some slick scratch/scuff protection for your iPhone 4, and we're going to give a few of them away." Win something for my iPhone 4? Yeah, that is something I'd be interested in, wouldn't you? 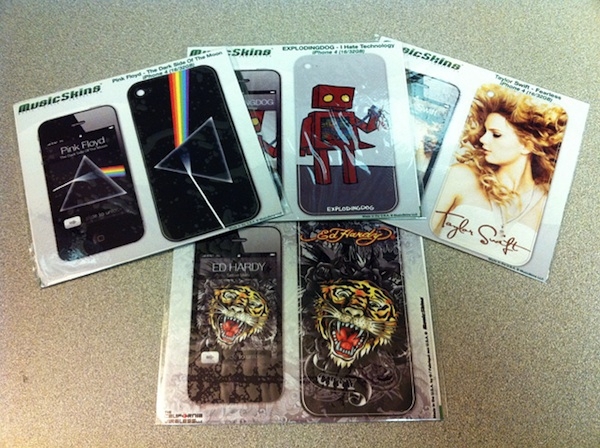 If so, head on over to Appletell and enter their contest for your shot at one of the cool skins pictured above. The contest ends August 11th so hurry up and enter!